PLUM Inc. welcomes Rick Gallitto to the executive team as President and Head of Real Estate. He assumed the role on the 15th January 2019. PLUM Inc. is a data-driven commercial real estate lender that operates nationally and is headquartered in San Francisco. PLUM is backed by world-renowned tech innovators and blue-chip investors such as Elliott Management, RenRen and Nomura Holdings. Prior to his role at PLUM, Mr. Gallitto was Co-President and Chief Investment Officer of Tremont Mortgage Trust (TRMT:NASDAQ) where he oversaw originations and deal structuring. He was also the Co-founder and President of Tremont Realty Capital, an SEC-registered investment advisor with total portfolio of assets in excess of $800MM. PLUM announces a Series B equity investment by the $35 billion hedge fund, Elliott Management. 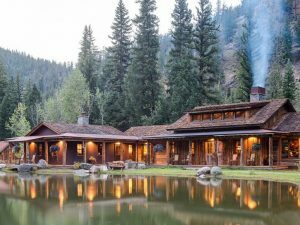 According to the most recent census, over 80% of people in the United States now live in urban areas, which is up 20% in just 50 years; as the rural population has decreased, it has made country breaks all the more popular. With increased global temperatures, changes in rainfall, and warming oceans, climate change is on the rise.